The night sky above Scotland could become as important to tourism as its landscape by day, according to experts on space and tourism. Science business boss Maarten de Vries said Scotland was one of a declining number of countries with large areas free of light pollution. He also predicted a boom if Virgin Galactic flights launch from Moray. The success of stargazing project "Dark Sky Scotland", meanwhile, could see it being rolled out across the UK. Mr de Vries, who runs Black Isle-based Going Nova - a business promoting science and technology - said Scotland has large areas unaffected by pollution from artificial lighting. He said: "There is certainly an opportunity to come here because of our pristine skies. "There are still places in South America, the States and Spain where astronomers go to, but there are fewer places because of light pollution encroaching from cities. "The night sky could be as important for tourism as Scotland's landscape." Scott Armstrong, VisitScotland's regional director, agreed Scotland's "dark skies" were a boon. He said: “The Highlands and other areas of Scotland are perfect for stargazers. "There are vast areas with dark skies and limited lighting which makes Scotland a must visit destination, offering a unique experience to our visitors." Mr de Vries, who also leads the campaign Spaceport Scotland, said the potential of Virgin Galactic launching flights to more than 60 miles above the Earth from a site in Scotland had huge implications for tourism. He said: "I believe a spaceport in Moray would be the most significant thing to happen in the area since the Romans." Initially Virgin Galactic's flights will go from the Mojave Spaceport in California. However, Galactic's president Will Whitehorn said RAF Lossiemouth - a military fast jet and rescue helicopter station - was still being considered as a launch site for future flights from the UK. 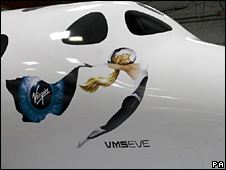 He told the BBC Scotland News website that the trials in the US were essential to Sir Richard Branson's Virgin Galactic getting a Federal Aviation Administration licence - which would pave the way for commercial operations to begin. He said: "We are now in the early test flying stage with the new space launch system in Mojave, California, with ground tests underway right now with a view to first flights in the next few weeks and our first test space flights within 18 months. "We will then use the data to get our FAA licence to fly. "We would then use this data to work out a regime to be negotiated in the UK with bodies such as the CAA and the MoD to get approvals for UK launches." Mr Whitehorn, who visited Lossiemouth in 2006, said the station had the edge on other possible UK sites - including the station's runway and personnel's expertise in supersonic flying and specialist fuel. He said: "I looked at the facilities there and, along with a couple of other UK sites, it could be ideal for a summer flying programme in the future due to its long runway and clear airspace in the Moray Firth. "The view of Scotland would be pretty spectacular as well. Permissions would be needed but will not be sought until we are ready. "There are other possible sites, but all have downsides and a few have upsides." The chance of becoming an astronaut is likely to remain for a long time an option only for the rich. Tickets cost £100,000 each. But in the case of any flights from Lossiemouth, Mr Whitehorn said he envisaged spin-offs such as spaceship spotters gathering to watch summer flights. David Chalton, project officer of Dark Sky Scotland, said the last of the initiative's funding was used in March. But after drawing more than 5,000 people to 35 astronomy events held in places such as Edinburgh, Fife and Knoydart in the Highlands, fresh backing was being sought. 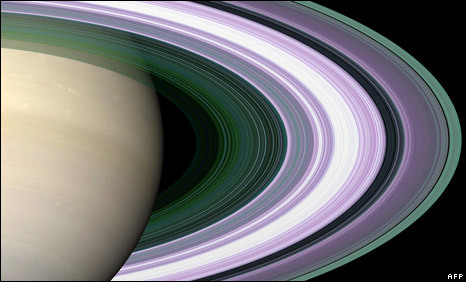 Mr Chalton said the project hoped to run activities throughout 2009, which will be the International Year of Astronomy. "Until the funding situation is more clear, it is hard to say how much of a programme we will have, but we are very hopeful of getting at least a chunk of what we are looking for," he said. "At the same time, based on the success of Dark Sky Scotland, we are in the process of rolling out the project across the rest of the UK. "Again, this is dependent on several funding bids, but we have already laid the foundations for 11 partnerships of organisations who are keen to deliver Dark Sky-style activities across the nine regions of England, and Wales and Northern Ireland." Based at the Royal Observatory Edinburgh, the project ran workshops for public bodies and individuals on how to incorporate astronomy into their activities. Mr Chalton said an example of space tourism in practice was Galloway Astronomy Centre, a bed and breakfast with a small observatory.